Researchers from the University of Sherbrooke in Quebec, Canada just produced more evidence that life could have begun in space. The research team showed that some organic molecules that form the building blocks of life could develop in icy films subjected to radiation within a vacuum, opening the possibility that life on this planetmight actually be extraterrestrial in origin. The research team created thin films of ice containing methane and/or oxygen and irradiated them with electron beams. The study was conducted in vacuum conditions, mimicking the high-vacuum conditions of space, which opened doors for specialized analysis techniques. The frozen films were bombarded with secondary electrons, known as low-energy electrons (LEEs). 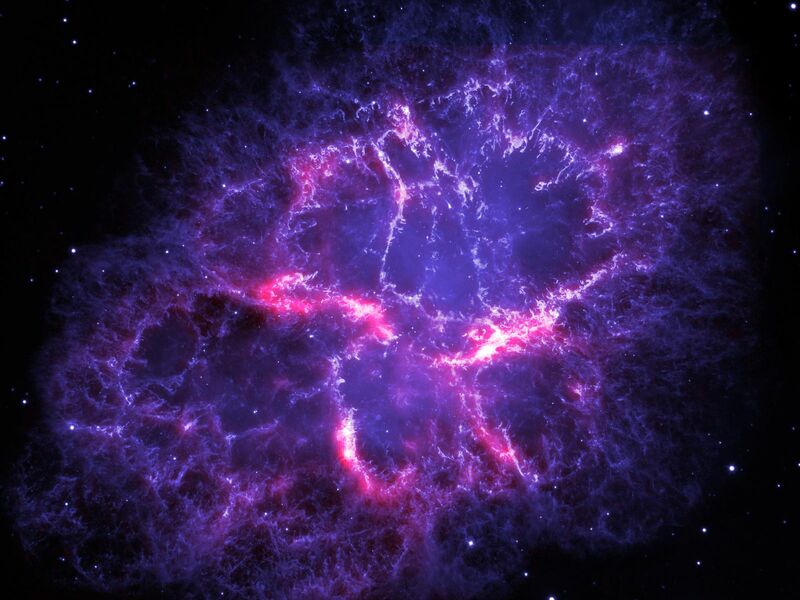 These electrons are produced when matter is hit by high-energy radiation, like the ultraviolet light, cosmic rays, and other charged particles that fly through space. LEEs themselves have enough energy to spur further chemical reactions. The Sherbrooke experiments were designed to see how these LEEs interacted with the icy films. According to the study, published in the Journal of Chemical Physics, the group found both direct and indirect evidence in the ice for a number of organic molecules. Propylene, ethane and acetylene developed in films of frozen methane, while ethanol developed in irradiated frozen methane and oxygen. The team also found indirect evidence for small organic molecules like acetic acid, formaldehyde, and methanol — all of which are potential building blocks for life. Science has not yet proven the exact origins of life as we know it here on Earth. We’re not even sure if life began forming here on Earth, or if it started elsewhere in the universe and simply managed to flourish on this planet. The experiment does not prove that life began in space, yet it does provide evidence that that building blocks of life could have come from space. The conditions produced in the experiment are easily found in outer space on objects like comets, asteroids, and even moons. Organic molecules formed on a comet could have made their way onto Earth and then begun the journey toward evolving into complex life. This development shines more light on the potential origins of life on Earth and could also help give insight into how to look for life elsewhere in the universe. If similar conditions were achieved on other space rocks, these same building blocks of life may have found their way to other places in the universe.